John Moncrieff Ltd offers offers Maxos Brand Transparent gauge glass. Maxos is glass used in all leading Liquid Level Gauges. 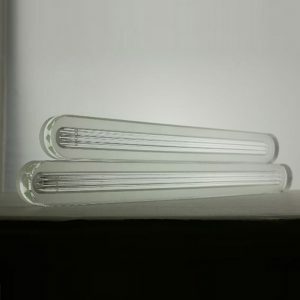 The glass can be either borosilicate (“extra hard”) or aluminosilicate glasses. Transparent Gauge Glass after moulding is subjected to a two-sided polishing and toughening. 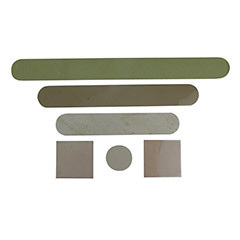 The very specific glass types, most commonly 4.2 expansion Borosilicate Glass results in products characterized by high mechanical strength and high resistance to alkalis, acids and condensates. 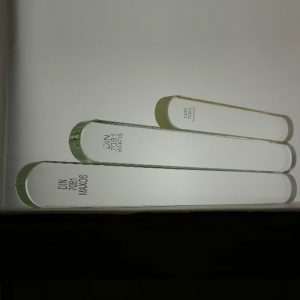 Transparent Gauge Glass can be produced to non standard sizes, please contact us. Transparent (Plain) level gauge glasses are used to read the liquid level. They can be (type TA 28) used up to 180 bar / 356 ° C for aggressive environments affecting (interacting) the glass (eg. saturated steam, hot water, alkalis) and up to 300 bar / 400 ° C for soft environments. Glass must be protected from the medium side through the mica shields. They are especially recommended for environments contaminated, viscous and highly corrosive. Reflex level gauge glasses are supplied either individually or in sets with gaskets and mica if required.